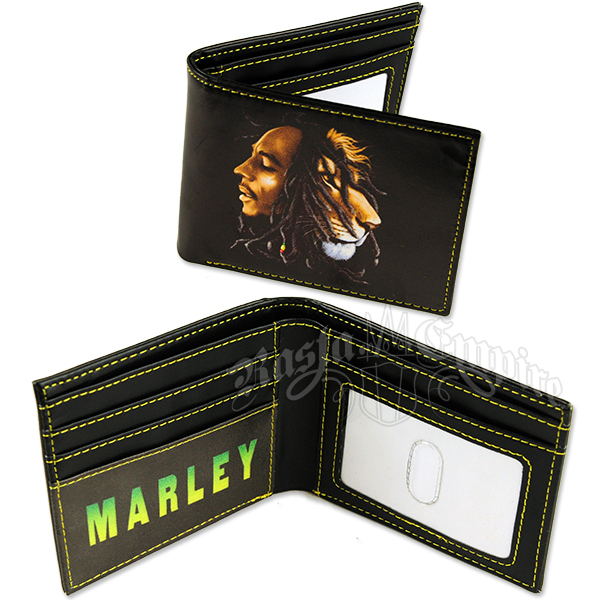 This black wallet features the profiles of Bob Marley and the Lion of Judah. The inside of the wallet is all black and has one large compartment for bills, 4 smaller compartments for cards, plus an ID holder compartment. "MARLEY" is printed in a yellow to green fade lettering.